Early spring sees the stream overtop its bank. 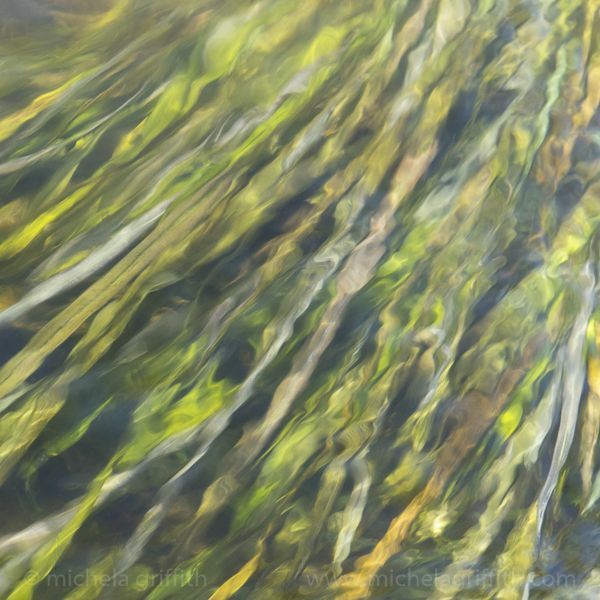 Submerged grass seems strangely colourful as it dances in the current. Both sunlight and sound cast their spell.